Now that it is November and Christmas is fast approaching I have been busy getting my children's wardrobes winter ready with lots of warm jumpers, woollen hats and cosy winter coats to keep them nice and snug. 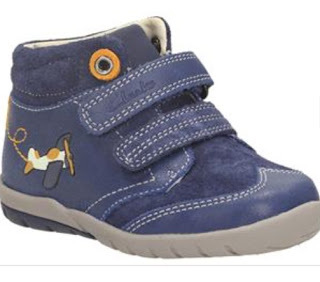 One thing that I still need to buy for both my children is some winter boots to keep their feet nice and warm on cold winter days. I have been looking around for boots for my two toddlers and my teen and whilst browsing online I came across Jones Bootmaker, who stock a fantastic range of children's shoes and boots in a great range of styles, colours and sizes for both boys and girls. I discovered so many cute styles that I thought I would share with you a few of my favourite one's today. Firstly I came across these Jones Bootmaker star strap ankle boots priced at £36, these would be great for my toddler Sophia as they would go with just about any outfit. 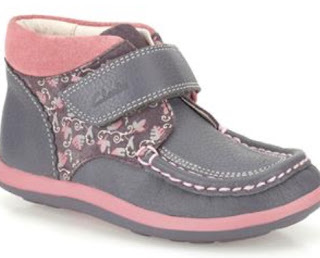 They look cute and stylish and very practical, perfect for a little girl. 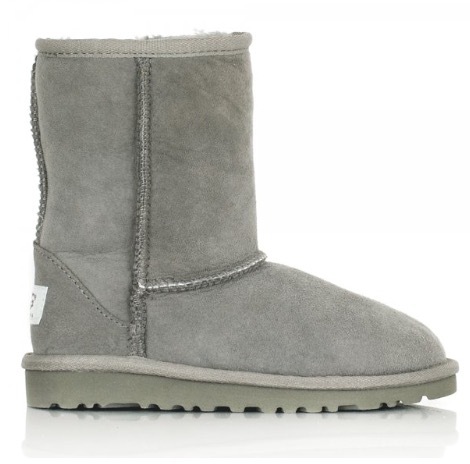 I really like these grey classic Ugg boots priced from £80. I love the colour, they are super comfortable and they are a classic design that is plain and simple and will go with just about any outfit. I think these would suit my teen and my toddler as my teen would wear them with leggings or skinny jeans and they would look adorable on my toddler with a dress and woolly tights. I spied these Ugg kids Penelope black suede ankle boots priced at £90 and I thought that they would be great for a teen. 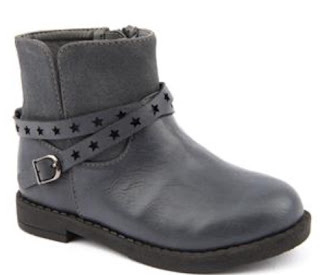 They have a small heel and look stylish yet practical and would look well dressed up or down, I could just imagine my daughter wearing these with either a dress and biker jacket or with her skinny jeans and hoody. For my toddler Sophia I saw these cute little Clarks Alana Erin ankle boots priced at £36 and available from Jones Bootmaker. I think these would be great for Sophia and would look cute with her little dresses or to wear with leggings when she goes to pre-school. We brought her boots from Clarks last year and they lasted her ages and were really comfortable for her. 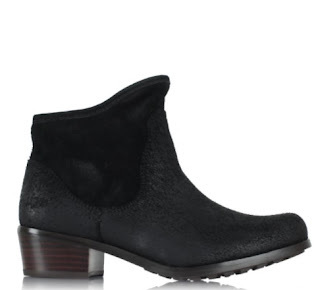 And lastly, I could not leave my baby boy Jacob out and love these Clarks softly Alex ankle boots priced at £36. Jacob actually has these boots in the shoe form and I love the design on them and they look mega cute on him with his little jeans so these boots would be perfect for him for winter. Which boots do you like the best? I would love to know in the comments below.